Ability Text: Flash (You may cast this spell any time you could cast an instant. 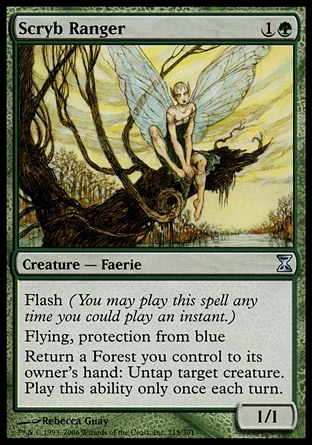 )- Flying, protection from blue- Return a Forest you control to its owner's hand: Untap target creature. Activate this ability only once each turn.